Tommie Rush is a well-known maker of glass... her specialty is acid-etched, hand-blown glass, often vases. 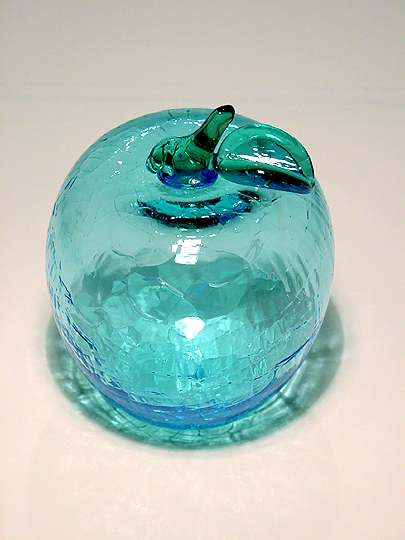 In this case, however, she has made a series of slightly-larger-than-life-size hand-blown glass apples. I really like how Tommie has formed the outer surface of the apple so that it is made up of countless flat planes, rather than being a truly curved surface. The shadows that appear as a result are very nice.